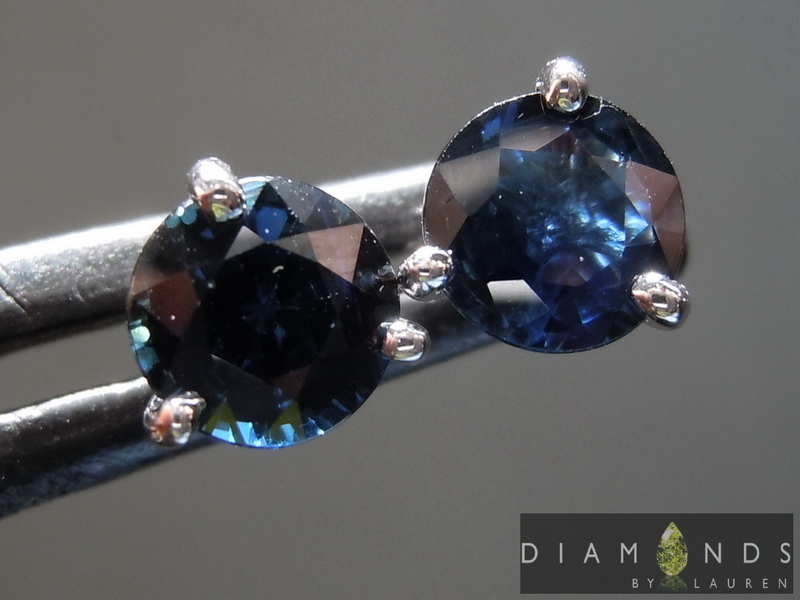 Here is a desirable pair of deep blue natural, heated sapphires. 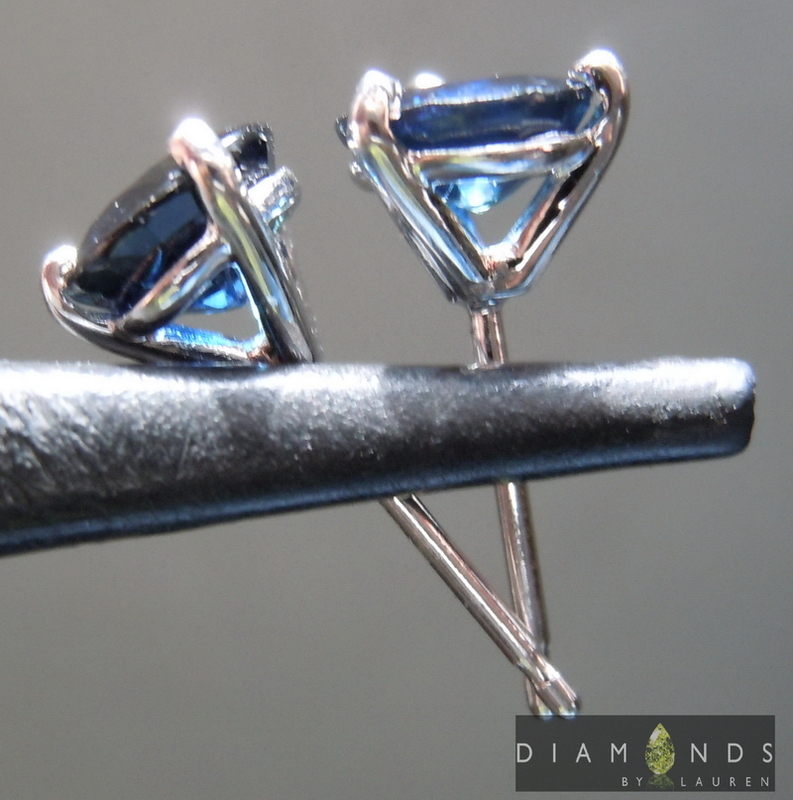 They sparkle nicely although the color is deep blue, as opposed to light blue. We set them in very cool Martini stud settings with posts and push backs. 14kt white gold. The photos above are ACTUAL Photos of the sapphire ring you will receive.